ඉන් එක් අයෙකු මේවනවිටත් ශ්‍රී ලංකා පොලිස් දෙපාර්තමේන්තුවේ රාජකාරියේ යෙදෙන්නෙකු බවත් අනෙක් දෙදෙනා හිටපු යුද හමුදා සාමාජිකයෙකු හා හිටපු නාවික හමුදා සාමාජිකයෙකු බව පැවසේ. 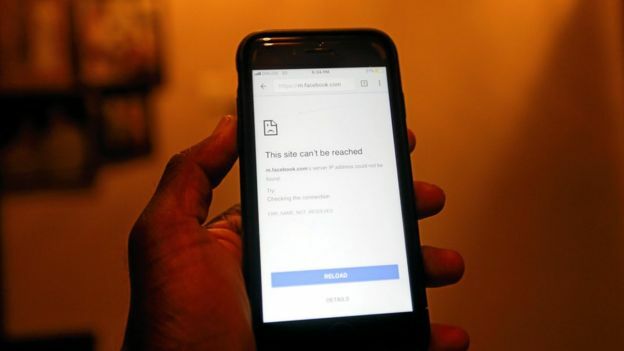 ඊයේ(06) රාත්‍රියේත් පුද්ගලයන් 400 ක පමණ කණ්ඩායමක් මැණික් හින්න ප්‍රදේශයේ කලහකාරී ලෙස හැසිරෙන්නට වූ බවත් හදිසි නීතිය යටතේ පවත්නා නීතිය සහ සාමාන්‍ය නීතිය යටතේ පිරිස පාලනය කිරීමට අහසට වෙඩි තබන්නට සිදුවූ බවත් පොලීසිය සඳහන් කරයි. මෙහිදී පිරිස විසුරුවා හරින්නට පොලිසිය අහසට වෙඩි තැබූ බවද වාර්තා විය. මේ දිනවල මහනුවර ඇතිව තිබෙන ජාතිවාදී ගැටලුව මේ වනවිට එක් එක් දේශපාලකයින් තමන්ට වාසියට හරවා ගන්නා අවස්ථාවක් බවටද පත්කරගෙන තිබේ. පාර්ලිමේන්තු මන්ත්‍රී විමල් වීරවංශ ප්‍රකාශ කළේ ‘ගේම්කාරයකු‘ මෙම සිද්ධි පිටුපස සිටින බවයි. ඔහු ව්‍යංගාර්ථයෙන් ඒ බව කියා සිටියේ හීන්දෑරි ජාතික ඇඳුම අඳින කොළඹ දිස්ත්‍රික්කයෙන් පාර්ලිමේන්තුවට පැමිණි පුද්ගලයකු මෙම ගැටුම සැලසුම් කරන බවයි. එම ගේම්කාරයා ඔහු සමාන කළේ ස්වාධීන රූපවාහිනි සේවයේ විකාශය වන "කූඹියෝ" ටෙලි නාට්‍යයේ ජෙහාන් ප්‍රනාන්දුටය. මේක සංවිධානාත්මකව ක්‍රියා කරලා තියෙන්නේ. 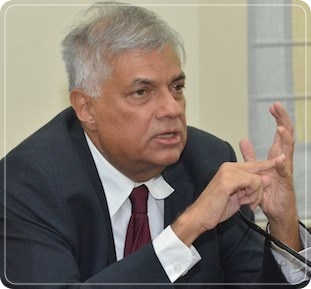 කූඹියෝ ටෙලි නාට්‍යයේ චරිතයක් තියෙනවා ජෙහාන් කියලා. මේ ජෙහාන් කරන්නේ ගේම් ගහන එක. ජෙහාන් වගේ ගේම්කාරයෙක් තමයි මේ පිටුපස ඉන්නේ. ඒ කියන්නේ හීන්දෑරි ජාතික ඇඳුම අඳින කොළඹ දිස්ත්‍රික්කයෙන් පාර්ලිමේන්තුවට පැමිණි පුද්ගලයකු තමයි මෙම ගැටුම් සඳහා පළමු ගිනිකූර පත්තු කළේ. මේ ජෙහාන් කවුද?" විමල් කියූ මෙම කාරණාව ගැන ඊයේ කැබිනට් ප්‍රවෘත්ති සාකච්ඡාවේදී විමසන ලදුව ඇමති රාජිත කියා සිටියේ මේ ගැන කරන පරීක්ෂණයට ඒ පුද්ගලයා ගැන විමල්ට සාක්ෂි ලබාදිය හැකි බවයි. අමාත්‍ය පාඨලී චම්පික රණවක මහතා ඊයේ (07) මේ චෝදනාව ගැන මාධ්‍ය සාකච්ඡාවකදී විමසන ලදුව ඔහු කියා සිටියේ විමල්ගේ කතා වලට උත්තර දීම පලක් නොවන කාරණාවක් බවයි. “They create a communal clash or put fuel to the fire to intensify the on-going clash. Every Government maintains its power with the full awareness of separating the society into race and class.” This particular dialogue from Sahodaraya (Brother) teledrama telecast on ITN every weekend indicates the bitter truth behind communal clashes and issues related to racism. The ugly head of racism rose its head recently in Digana and Teldeniya areas following a death of H.G. Kumarasinghe, a 41-year-old father of two, who succumbed to head injuries sustained during an assault. Sri Lanka, has been used by many parties with the aim of spreading false messages and painting a ‘racist’ picture regarding the incident. The road incident took place on February 22 (Thursday). An exchange of words between the late Kumarasinghe, who was driving his lorry accompanied by his assistant, and four other people, who were travelling in a three-wheeler , occurred when the two vehicles met face to face, while taking turns in a junction in Teldeniya. The seconds-long argument had led to a brutal attack. Before the attack, the lorry driver had not allowed the three-wheeler driver to overtake his vehicle and the two vehicles were stopped near a filling station in Teldeniya where the four people in the three-wheeler started assaulting Kumarasinghe. Kumarasinghe who sustained severe head injuries was admitted to Teldeniya Hospital from where he was later transferred to Kandy General Hospital. 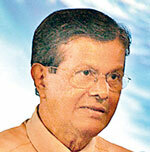 After nearly 10 days in the Intensive Care Unit, Kumarasinghe succumbed to his injuries on 3 March (Saturday). Subsequently, reprisal attacks, which triggered off on March 5 afternoon, set the Digana town ablaze. 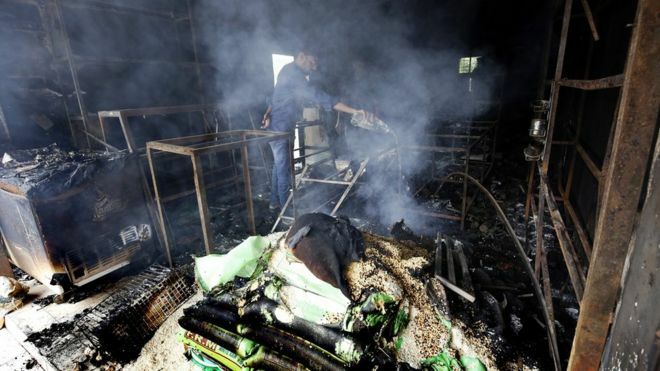 Dozens of shops were burnt down causing colossal damage to their owners. 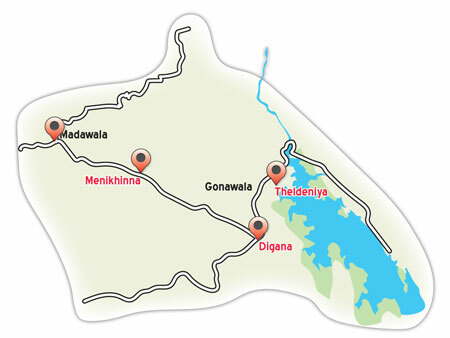 By March 5 evening, Police curfew was declared in Digana and schools were declared closed in the entire Kandy District. 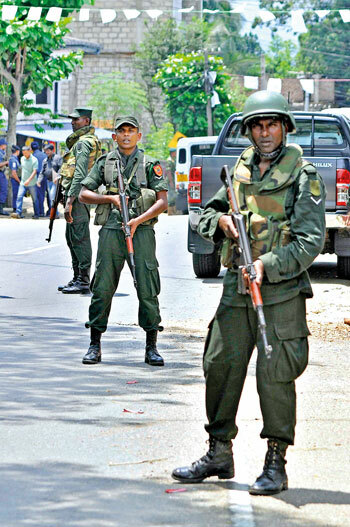 Over 1000 policemen, 300 STF personnel and 300 Army troops were deployed in Kandy to control the situation and prevent it from turning into an inter-communal catastrophe. Twenty-four persons connected to the violence were arrested by the Teldeniya Police. President Maithripala Sirisena called for calm and demanded an independent police inquiry into the Digana violence. 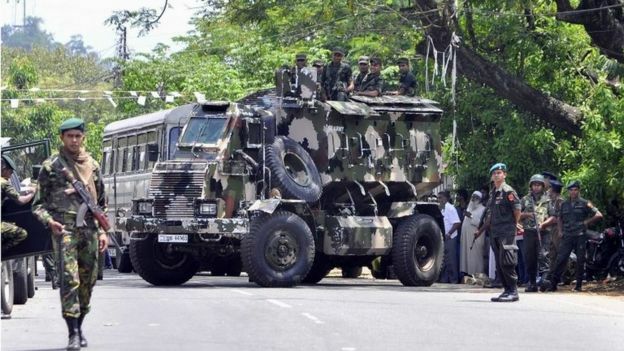 President Sirisena also urged law enforcement authorities to ensure the safety and security of residents in the area. Minsila, another resident from Balagolla, broke down while narrating how her son’s shop was completely destroyed during the attack on March 5. “We hid inside our house to save our lives. Although we heard the noises of the attack and witnessed how the shop came under attack, we could do nothing. We were really helpless and crying in fear. They didn’t enter our house and didn’t physically attack anyone. “I am asking them as to why innocent people like us had to suffer for something which we had no involvement in? If someone has committed a crime, the attackers should have looked for the culprits and dealt with them. We had nothing to do with the so-called racist attack. My son started this shop from his hard-earned money after years of struggling abroad. We are so poor and can’t really bear these damages. 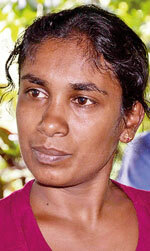 We are requesting the Government to help us stand up on our feet again,” Minsila said. 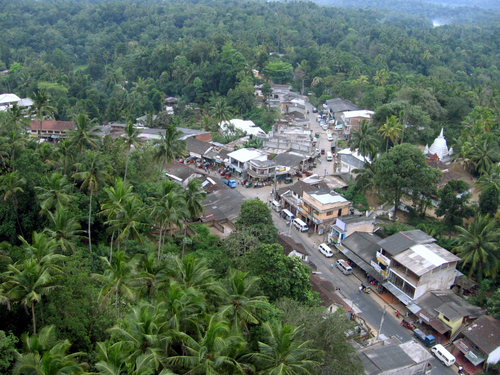 Among the people whose shops and houses were damaged at the time of the retaliation, S. M. Naufer, from Balagolla, Pallekele, speaking to the Dailymirror, said that those who had destroyed his business should be brought before the law and those who had to experience colossal financial losses, due to the attack, should be eventually given adequate support to restart their business. “After we got to know mobs were heading towards our places, we locked our shops and ran, in search of safe places. About 1000 people came in groups and started destroying our properties. Some groups came in buses. They were bearing metal and wooden clubs. They didn’t have any other weapons. There are three camps of Tri-Forces close to our area. Yet, none of them came to stop the attack,” Naufer said. On March 6 morning, a dead body of a 28-year-old male was discovered inside a shop in Diyabubula, Pallekele. 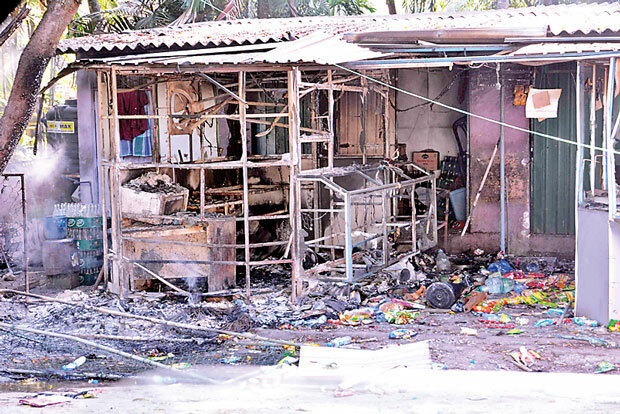 Samsudeen Abdul Basith was inside the shop when the mobs set the shop ablaze. His brother Samsudeen Mohommed Fayaz, who was also inside the shop, was admitted to the hospital on Monday (5) and is currently undergoing treatment at the Kandy Hospital. 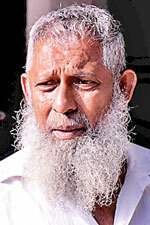 Samsudeen Mohommed Fazil is the eldest brother of late Basith. Speaking to the Dailymirror, Fazil requested all religious groups to leave all communal disparities behind and join hands. “I asked my parents and two of my brothers to go to a safe place without staying inside the house. They could not do so. I came to know that our house and our shop were ablaze. I thrice tried to reach the area. But, the mobs didn’t let me. I tried calling my parents and brothers. They said if they came out, they were anyway going to die as the area was surrounded by mobs then. “Later on, I came to know that my parents managed to escape from rear door of our house. One of my brothers sustained burn injuries. He is currently being treated at the Kandy Hospital. We had no idea about our younger brother. I accompanied my father to see our burnt house and looked for our belongings. That was when we discovered our younger brother’s remains inside the washroom of our house. Apparently, he had died of breathing difficulties due to smoke. There were no severe burn injuries to his body. Meanwhile, Fazil requested all the religious groups not to create any disastrous situations. “There is no need to continue these clashes. I am requesting all groups not to fight anymore because no good will come out of it. We all are sons and daughters of the same mother and father. We all have the same red blood. We are separated only by religions and races. It is not fair to attack innocent people like us. We are living in Pallekele in peace and harmony. 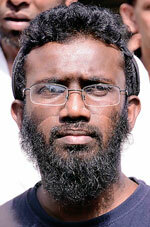 Don’t destroy the unity in our area to fulfill any personal agendas,”he said. 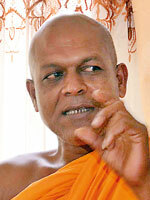 The Chief Incumbent of Mangalaramaya, Batticaloa and Sri Sudarshanaramaya in Kandy Ampitiye Sumanarathana Thera said that neither the Muslims nor the Buddhist groups are to blamed for the clash. “Our people were pushed to react due to the failure of Teldeniya Police. 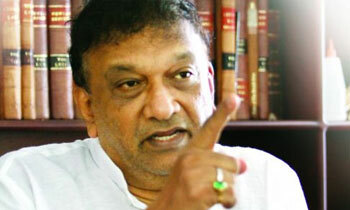 Police failed to take immediate action against the assailants of Kumarasinghe. Instead of doing their job, the OIC of Teldeniya Police was transferred. 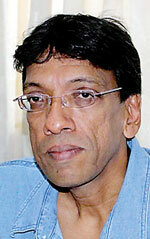 “Later, Kumarasinghe was pronounced dead. The delay on the part of the police in taking action resulted in the retaliation. None of our people wanted any fights. Somehow a group of men who were under the influence of alcohol had set a shop on fire on Sunday (4). We don’t approve of that attack. Six people who were involved in the incident were arrested. “Parents were demanding the release of their innocent sons. We were asked to wait for hours on the road by Police. After Kumarasinghe’s funeral was over, our people started retaliating. “I am not afraid to say that the Police is to blame. They should have taken action during the needy hour. I have no connection with Bodu Bala Sena or any so-called religious group. This is not backed by any politician or any international agency. Our men are not racists. Don’t even try to call them as racists. said that fighting can’t bring back the life of her husband. “There is no point in fighting and claiming more precious lives of the people and making more widows like me. My husband was so innocent and everyone in the village adored him. Working as a driver, he looked after me, his mother, our disabled son and the daughter. We have become so helpless now. We have no future now. Honestly, we don’t have much hopes and confidence that the Government will support us,”she said. 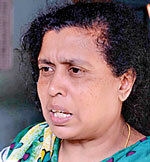 Renowned Sociologist Prof. Siri Hettige said that Ethno-religious violence has been a common occurrence in this country for the past seventy years or more. “The phenomenon has got more entrenched in society in more recent years. There are obvious and not so obvious causes for this situation. But, when such incidents take place the immediate reaction has to come from the law enforcement authorities. The responsibility of the Police is to take all measures necessary to prevent the escalation of violence and enforce the law in terms of follow up legal action. “Given the fact that such violence has not been uncommon, by now, the law enforcement authorities don’t need any guidance from politicians as to what to do. It is hoped that they would do the needful and leave no room for the spread of violence. But, as a country, we need to do more than mopping up operations after each incident and forget about the simmering ethno-religious tensions that often trigger violence in different parts of the country from time to time. This is where we need long term policy interventions to address the root causes of ethno-religious violence that has taken the country back economically and socially by several decades and encouraged many people to leave the country. “Given the fact that ethno-religious identities and tensions are the result of what happens in a whole range of areas such as education, politics, media, etc. , a reduction of ethnic tensions can be achieved only through a range on interventions . But, what happens in the country is that violent incidents are forgotten until the next round of violence erupts and no attempt is made to initiate long term measures that are absolutely necessary to sustain unity and reconciliation among ethnic and religious groups. “These measures include the adoption and implementation of progressive policies and institutional reforms . Yet, if we go by our experience in the recent past, this is too much to expect from our politicians who are more concerned about their own political fortunes rather than the pressing problems of the masses including life and death issues like violence directed against different communities from time to time,” said Hettige. 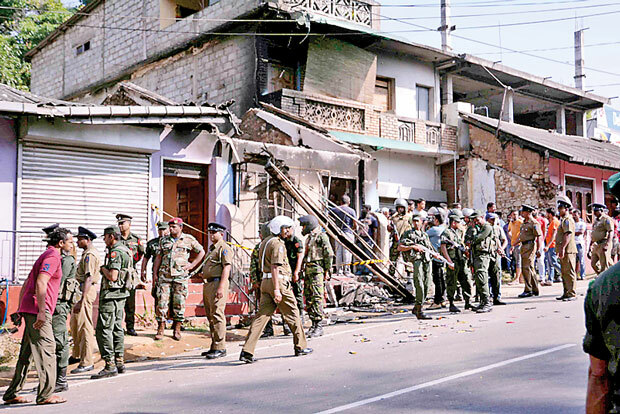 Executive Director of National Peace Council Jehan Perera said that thesudden eruption of anti-Muslim violence in Kandy is a big blow to reconciliation in the country. “The sudden deterioration of law and order threatens to pit community against community. Having only just come out of a thirty-year war, it looks like we are being pushed into a new one. The Government must ensure that law and order is maintained through effective police action. If anyone takes the law into his or her own hands, and practices violence against another, such individuals should be arrested. In this context the declaration of a state of emergency for a limited period is appropriate as long as there is both Law and Order and Rule of Law. Law and Order is to restore social peace. “Rule of Law has to follow a due process and not act outside of the law. 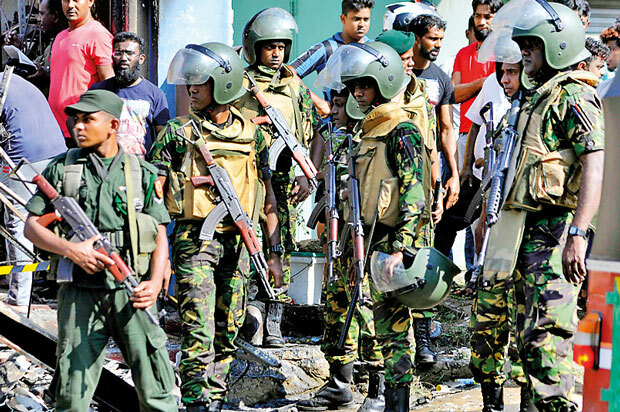 After enduring three decades of civil strife and internal war and now having to answer to the international community at the UN Human Rights Council in Geneva, Sri Lanka must not go through another cycle of violence which targets Sinhalese, Tamils or Muslims. It is like we are back in the past, when there was fear in the air. We thought we had got out of this fear when the war concluded. But once again there is this feeling of fear. It is necessary that the Government and state institutions, especially the police, should take immediate deterrent and punitive measures against the miscreants and those giving them political and ideological backing. “The Government has a duty to reassure the people that they are equally deserving of the protection of the state, and will receive it. The Government leaders must come out and talk to the people and reassure them. It is not enough to utilize the levers of power from behind the scenes. The Government leaders must act, make public speeches take the people with them. There is a deliberate and purposeful build up of tension. This is being done for political reasons by those who do not have mass support. There is an artificial attempt to show that the Government is weak and ineffectual and can’t protect the Sinhalese like those in the opposition can,”said Perera. අම්පාරේ කඩයකදී වඳ පෙති යැයි කියමින් පොලිසියට භාර දුන් ආහාර වල තිබී ඇත්තේ පිෂ්ඨය සහිත ආහාර කොටසක් බවට නිගමනය කරන්නේ යැයි රජයේ රසපරීක්ෂක ඒ වැලිඅංගගේ මහතා පොලිසියට දන්වා යවා තිබේ. අම්පාර නගරයේ පිහිටි කඩයක රාත්‍රී ආහාර ගනිමින් සිටි පුද්ගලයෙක් පාරාටා කැබැල්ලක තිබී මෙම පිෂ්ඨ කොටස සොයා ගෙන ඇති අතර එය මිනිසුන් වඳ භාවයට පත් කිරිමට යොදා ගන්නා පෙත්තක් යැයි සමාජ මාධ්‍ය හරහා ප්‍රකාශ යවා තිබිණි. එම සිදුවීමෙන් පසු අදාල වෙළෙඳසැලට මැර ප්‍රහාරයක් එල්ල වී තිබුණ අතර ප්‍රහාරයට සැකපිට කිහිපදෙනෙකු අත්අඩංගුවට ගත් බව පොලිසිය කියයි. එම සිඳු වීමෙන් පසු නිවේදනයක් නිකුත් කරමින් සෞඛ්‍ය සේවා අධ්‍යක්ෂක ජනරාල් අනිල් ජාසිංහ මහතා ප්‍රකාශ කළේ මිනිසුන් වඳ භාවයට පත් කළ හැකි ඖෂධ වර්ගයක් ලෝකයේ සොයා ගෙන නොමැති බවයි. ව්‍යාජ ප්‍රකාශ පතුරවමින් කළබල ඇතිකිරිමට උත්සහ කළ පිරිස් සම්බන්ධයෙන් නීතිය ක්‍රියාත්මක කරන බව පොලිසිය කියයි.